Is Remission Really Achievable in EARLY Rheumatoid Arthritis? Background/Purpose: : to stress the need of routine use of US imaging in treat to target strategies aiming to achieve remission in early rheumatoid arthritis. 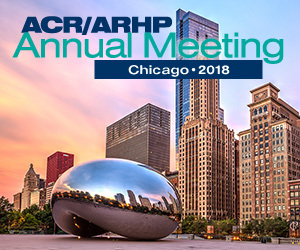 Methods: 54 patients with early rheumatoid arthritis (ERA) or undifferentiated arthritis (UA) diagnosed according to 2010 ACR/EULAR criteria were enrolled. Demographic (age, gender, disease duration,BMI), clinical (total SJC and TJC, DAS28, CDAI, SDAI, HAQ, EULAR response), serological (ESR, CRP, RF, anti-CCP) data has been collected. Ultrasonographic hand (MCP, PIP and DIP joints), wrists (intercarpic and radiocarpic joints) and feet ( MTP, PIP, DIP as well as ankle joints) evaluation was performed according to OMERACT recommendations. The patients were evaluated at baseline, after three and six months:all 54 patients have complete 3rd month follow-up data, only 38 have already completed 6th month follow-up. Results: 11 UA (20,4%) and 43 RA (79,6%) were enrolled from November 2012 to January 2014.Mean disease duration was 15,5 ± 7,8 weeks (min – max 4 – 24). 26 (48,1%) were RF positive (Mean ± sd values 121.7 ± 90.5 ) and 25 (46,3%) were CCP positive (Mean ± sd values 361,0 ± 448,2). Only 8 (14,8%) showed radiographic erosions at baseline.We observed a progressive reduction in all clinical and clinimetric features not associated with statistically significant improvement in US findings (Table). When analyzing for predictive factors of good response only increased values of ESR and CRP at baseline were found to be associated with better clinical response altough not always reaching statistically significant value (ESR t0-t3 p = 0,024; ESR t0-t6 p = 0,766; CRP t0-t3 p = 0,822; CRP t0-t6 p = 0,071). Baseline number of joints with US synovitis or power-Doppler (PD) signal were not different between responder and not responder at 3 and 6 months. The number of joints with US synovitis or US presence of PD were not statistical different between moderate or good responder at 6 months.